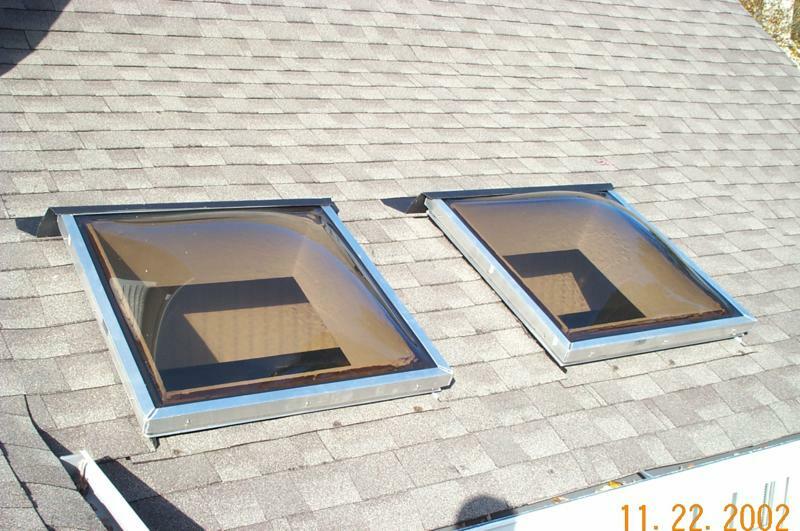 Want Skylights But Worry About Leaks? Worry No More! Skylights are nice looking and an excellent source of natural sunlight! Sunny days bring in lots of bright, free sunlight which can brighten rooms naturally! It’s no wonder why they are so popular among homeowners. Skylights do have a mixed reputation to some, mainly based on stories of leaking skylights and other problems. The reality is, most problem skylights can be attributed to one thing, poor installation. Installed properly, skylights should give you years of enjoyment and energy savings. To prevent skylight leaks, problem areas must be identified and corrected during installation and though regular inspections throughout the year. Skylight installation is a complex process with a large variety of problems that can occur if not installed properly. Although modern skylights have some parts pre-installed (flashing for example), the installation must be done in a precise way taking into account normal specifications and the installation environment. Having an experienced, professional installer (such as Atlanta Roofing Specialists) install your skylight will help ensure you won’t have problems later on. Regular inspections and maintenance is crucial to having problem free skylights. Keep the skylights free of debris including ice, snow, leaves, sticks and other things that can hamper the drainage around the skylight. If your gutters are full of debris, chances are your skylights and the area around them will need to be cleaned as well. Clear any debris that may build up on the roof as they cause leaks not only through the skylight but through siding, loose shingles, and other areas of the roof. If you notice condensation on your skylight, you may have an improperly vented room in the house. Condensation from bathrooms or sun rooms can be controlled by using dehumidifiers in these rooms or by having proper ventilation installed. Ensure all rooms, especially those prone to heavy condensation activities such as bathrooms and kitchens are properly ventilated. If you suspect your may have a leaking skylight or would like skylights added to your homes (in the Metro Atlanta area), call Atlanta Roofing Specialists today at 770-419-2222 for free inspection! This entry was posted in Consumer Advice, FAQ, Roofing Services, Skylights and tagged skylight installation, skylight leaks, skylight maintenance, Skylights. Bookmark the permalink.